I do enjoy racing - but lately I'm finding it harder and harder to fit them into my schedule. I'm also trying to not run every race I see/want to do in trying to save up for the larger races I want to do - those marathons aren't cheap! I've been finding virtual runs to be much more conducive to my odd schedules. Which means I can now run a 5k at 5AM if that's the only time in my schedule to run it. Love the flexibility here. What's even better is a lot of the virtual races I've been doing have been raising money for causes such as Suz & Allan's latest virtual races- for Wounded Warriors and Breast Cancer most recently Louise's Lobtah Virtual Run which focused on raising money for her neighbor for some much needed surgeries so he can return to work. Or, you could always join my friend Leslie's Virtual Running Community - Kickin' Asphalt and participate in free virtual races. Today was their first virtual 5k, but there will be an opportunity for a Frigid Half Marathon on December 2nd as well. I am positive Leslie & Christine will be adding more races to their events list. Just keep checking back. 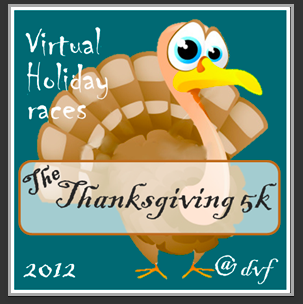 Another virtual race on my calendar is Daily Vitamin F's Thanksgiving Virtual 5K. I'm looking forward to this one because I'm going to make it a family 5k before a delicious Thanksgiving Dinner. Today was a day when fitting in a race was going to be a challenge - so I was more than pleased to make my 6 mile run two virtual races this morning. 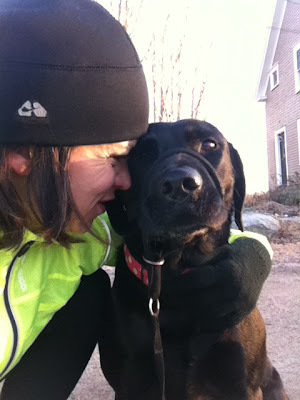 I was able to get out there bright and early at 6 AM with my four legged running girl, Pepper, and we took on the cold (24F) morning together. I was sporting my new Wave Universe shoes and I'm falling in love with them more and more every time I wear them. Thank you Leslie & Louise for hosting two fabulous races. How about you? Are you a racing addict? Do you enjoy virtual races? i am definitely NOT a racing addict...just a running nut. 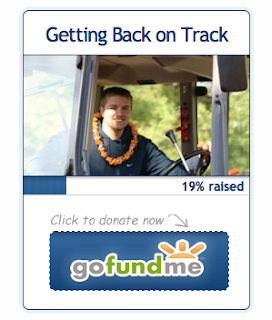 I love the great virtual races people have been putting together and all the great causes! 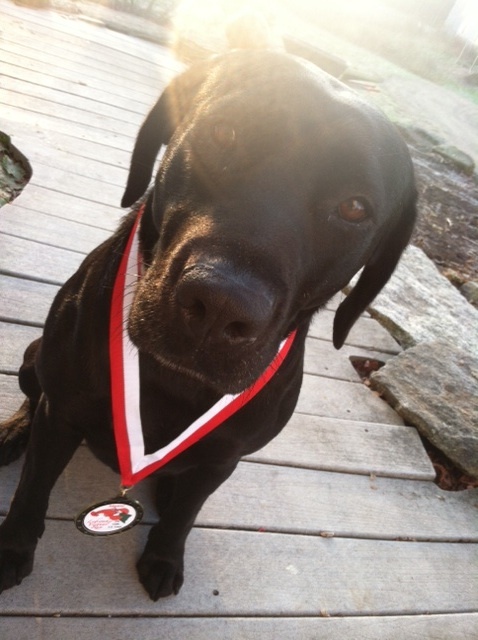 Aww Pepper looks cute with the medal on! Thanks for spreading the word about those virtual race opportunities. I liked their fb page so I can stay up to date. I usually forget about virtual runs until I sit down to my computer. Although I think I will be doing Kiley's. Your dog looks pretty pleased with that medal on. I love virtual runs, too! Thanks for sharing these. I need to add a few to my schedule! Duh, racing addict queen here! I like virtual races too, though! Love that picture of you and your pooch. I do like virtual races/runs... and don't forget about Courtenay Fosters 'Hope Endures' 5k in memory of her daughter. I am going to email you about it. I'm Canadian so I forgot all about your Thanksgiving.....I think I could definitely do a turkey trot this weekend!